100% Pure Organic Clove Bud Essential Oil has a spicy, warm aroma and stimulating, antiseptic properties. Organic Clove Bud essential oil is an antiseptic and stimulating oil useful in mouthwashes and gargles. Clove essential oil has traditionally been used to relieve toothaches. Clove Bud essential oil's antiseptic properties make it a useful oil to diffuse during cold and flu season. For more information on the uses of Clove Bud essential oil, visit our blog. Clove essential oil is a powerful skin irritant and should be used carefully--if using on the skin, use half of recommended dilution or less. 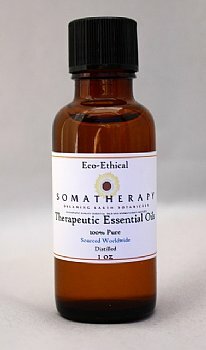 In general, however, we recommend using this oil in a diffuser-not applied topically. Do not use during pregnancy. Do not use in baths.